I use B12 injections in my NW Calgary Naturopathic Medicine practice often with great results. My patients love the benefits they experience with them, and they are quick and almost painless. A lot of people are talking about B12 injections these days, and everyone could benefit from more energy and better moods! Keep reading below to learn about the many benefits of B12 injections and if they could benefit you in conjunction with Naturopathic Medicine. Vitamin B12 is a nutrient that your body uses to build and maintain healthy red blood cells and nerves. It also helps your body to use fat and carbohydrates for energy. Your body is unable to produce this essential vitamin, and so it must extract it from the food you eat as well as the supplements you consume. There are 3 types of B12: cyanocobalamin, hydroxycobalamin, and methylcobalamin. Cyanocobalamin is a synthetic version of B12 and therefore the cheapest form. However, it is more work for your body to break down and absorb this form of B12. Hydroxycobalamin is a better form of B12 and converts easily. However, the most superior form of B12, and the type I use for injections in my practice, is Methylcobalamin. This form of B12 is the most active form in your body, and offers protection for the cardiovascular system and the nervous system. It travels easily through your blood brain barrier to protect your blood cells. Where do I get Vitamin B12 from? There are 4 ways to get your vitamin B12. The first way is through your diet, from animal based products such as meat, chicken, seafood, dairy, and eggs. However not everyone will be able to absorb the vitamin B12 from their diet. People that lack intrinsic factor in the lining of their stomach will not be able to absorb the B12 from their food. People with low stomach acid will also have issues with absorption. The 2nd way is through vitamin B12 supplements. Supplements that are swallowed will have a lower absorption rate, and again people that lack instrinsic factor or have low stomach acid will absorb less. Another way of getting B12 is through sublingual tablets. Absorption is higher here because you are bypassing the digestive system. And the 4th and most effective way of getting your B12 is through intramuscular injection, which allows the highest absorption of B12 into your system. Certain populations are at a higher risk for a B12 deficiency. The elderly are at higher risk because their ability to produce intrinsic factor declines with age. Vegans and Vegetarians are also at risk because they are not getting B12 from their diet. People on certain medications can be deficient in B12 if the medicine blocks the bodies ability to absorb B12 (for example the Birth control pill, proton pump inhibitors, and Metformin). Patients with Ulcerative Colitis and Crohn’s are at higher risk of deficiency, as well as alcoholics or people with a high alcohol intake. Patients with Diabetes also have a higher need for B12. How is a B12 deficiency diagnosed? Every patient will show symptoms of a B12 deficiency differently, and so it is very important to see your Medical Doctor or your Naturopathic Doctor for a proper diagnosis, and to rule out any other conditions that can cause the symptoms listed below. Diagnosis of a deficiency can be made by testing your blood levels of Vitamin B12. However, even patients with normal blood levels of B12 can benefit from injections, depending on their symptoms and their overall health goals (such as optimal energy and moods, weight loss, controlling side effects of Diabetes, etc). It is possible to take too much vitamin B12 so it’s important to supplement under the supervision of your medical doctor or Naturopathic Doctor. 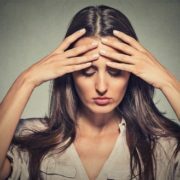 What are they symptoms of a B12 deficiency? 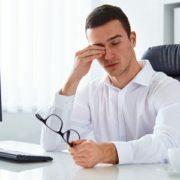 There are a multitude of symptoms, some of which include: fatigue, weakness, nerve symptoms (neuropathy, tingling, crawling sensations, numbness and tingling), anxiety, depression, mental fatigue and lack of motivation, issues with memory and concentration, smooth and swollen tongue, and much more. When I perform a full assessment on my patients I will look at their overall symptom picture to determine if they can benefit from an injection, and also make sure to rule out any other conditions that could be causing these symptoms. There are so many benefits to B12 injections, once I have determined that they are safe for my patients. After doing a complete health history on my patients I can determine the proper dose and injection frequency for that patient. Benefits of B12 injections include: increased energy, better mood, better sleep, decreased PMS, decreased sugar cravings, better mental focus and concentration, weight loss, reduced levels of homocysteine (therefore reducing risk of cardiovascular disease), balanced immune system, and so much more. As you can see, there are so many benefits to B12 injections. Please don’t hesitate to contact me at my NW Calgary Naturopathic Medicine practice to see if these injections might be beneficial to you to improve your quality of life!